silence will fall ( explore ) | Flickr - Photo Sharing! stu-pot78, akal_flickr, and 564 other people added this photo to their favorites. Enhorabuena por el EXPLORE y que tengas una semana feliz, Andre. Stirs the soul. A fine mix of beauty and decay. I love it! I love this atmosphere of abandonment and degraded! You simply amaze me with each and every shot! How do you find these places - are they hard to access? just an amazing photo stream.. Wonderful image and amazing gallery work! Congrats! 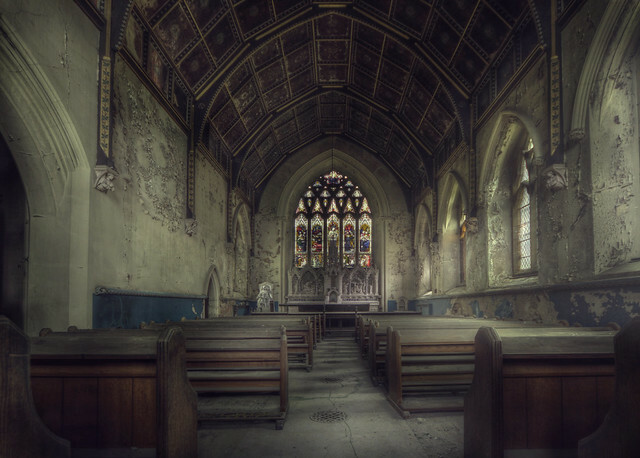 This awesome picture of an abandoned holy place has been selected for featuring in my latest post on ViralTwister.com.